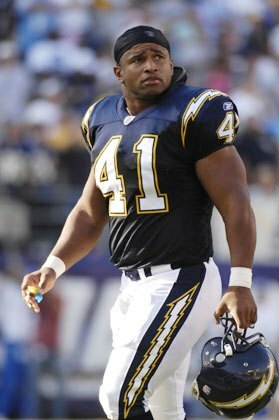 Former NFL All-Pro Lorenzo Neal will be holding a youth football camp held at Fresno City College for youth 7 to 14 years old. The former Fresno State running back and San Diego Chargers fullback is holding the camp with the goal of building up the youth in the valley through hard work and support. Neal wants those who will be attending the camp to get into the mindset that hard work pays off. “The will to win is nothing without the will to prepare,” said Neal. The idea of putting together this youth camp was sparked by Neal analyzing the surrounding nature of what has been going on in the world and in the U.S, and how it is becoming increasingly difficult for youth to grow up in the current state of our communities, he said. Neal has started this movement with a five step mantra that he wants to resonate with the youth, which starts with building trust, character, and credibility by breaking down walls and building the person back up. Those involved in helping Neal bridge the relationship between the youth and the community includes participants from Fresno City College athletics, the Fresno Police Department and the backing of the NFL Players Association. There will also be numerous current and ex-NFL players taking part, such as Buffalo Bills Pro Bowler Lorenzo Alexander, Chargers great Ladainian Tomlinson and Charlie Jones. Neal would also like to get volunteers who do not have a connection with football, but can help the youth, such as pastors and psychologists. Another focus for bridging the gap between the youth and the community is having numerous law enforcement volunteers for the event, especially after dealing with the current turmoil and disconnect between law enforcement and communities throughout the country, Neal said. Neal said his focus is trying to change the preconceived notion that “if one, then all” when it comes to topics of race and injustice. He feels that is not the case and it is so far from the truth and that is where he would like to bridge that for the youth. Neal feels that this generation’s youth is becoming desensitized and have lost sight of what morals and values should be instilled them in order for them to grow. “We’re losing some of our youth and our identity, and all the things surrounding our youth is desensitizing who we are and the moral fabric of our country,” Neal said. The vision for the future is that this will be the first of many camps sponsored through Neal and the NFLPA according to Neal. The goal is to in the near future have camps duplicated in Oakland, San Diego and Los Angeles for those communities where Neal feel need help. So far the camp has over 200 kids signed up with a little less than three weeks until the event takes place. Those interested in registering a child register through Neal’s official website.